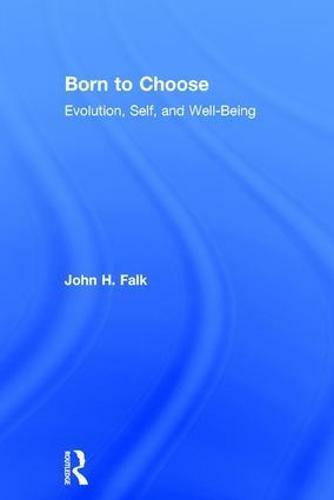 Born to Choose is John H. Falk's compelling account of why and how we make the endless set of choices we do, every second of every day of our lives. Synthesizing research from across the biological and social sciences, Falk argues that human choice-making is an evolutionarily ancient and complex process. He suggests that all our choices are influenced by very basic and early evolving needs, and that ultimately each choice is designed to support survival in the guise of perceived well-being. This engaging book breaks new intellectual ground and enhances our understanding not just of human choice-making but human behavior overall. "I thoroughly enjoyed reading Born to Choose because it rings true with my decades-long scientific study of the principles behind the evolution of physiology. I was particularly interested in the way Falk related choice to the process of homeostasis. Professor Falk has put his finger on the pulse of human existence."